"This came from a friend and is now the most requested family night treat from my children. Like caramel corn only much faster and fun to eat!" Place popcorn in a bowl and pour marshmallow mixture over popcorn; stir to coat. I also tried it using white sugar and a little almond and rum flavoring. This gave it more of a glazed english toffee flavor. Very, very good. 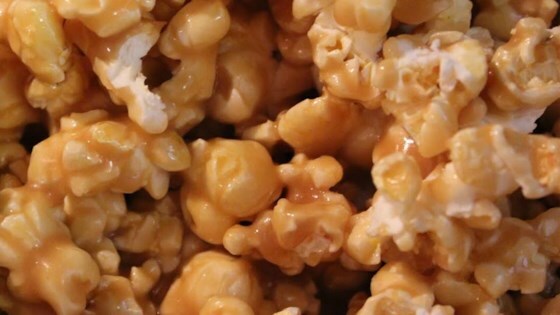 I was out of corn syrup, so I was looking for a caramel corn recipe without corn syrup. Marshmallows were a perfect additional. Thanks for the recipe! super easy and the kids loved it! Really good stuff! Not healthy, but good. And very easy. I've used up to 12 cups of popcorn, still works great!